Florence is one of the most popular cities in Italy to visit. The small city provides a beautiful and fun way to experience Tuscan city life, as well as being a good base for travels around the country. Translated in English to "five towns," Cinque Terre is that photo you see all over Pinterest of the colorful Italian buildings built into the seaside cliffs. While here, you'll want to devote time to take the trail through all the towns, though if you're more limited on time, head to Monterosso to spend time on the beach. Need more inspiration? Read Beautiful Ruins by Jess Walter, one of my favorite books of all time, which is set in this part of Italy. Another Tuscan town just south of Florence, Siena will have you seeing another piece of this gorgeous region. Head to Siena on July 2 or August 16 to catch the famous yearly horse race Il Palio, or go any time of year for winding streets, fresh food, and rolling hills in the distance. 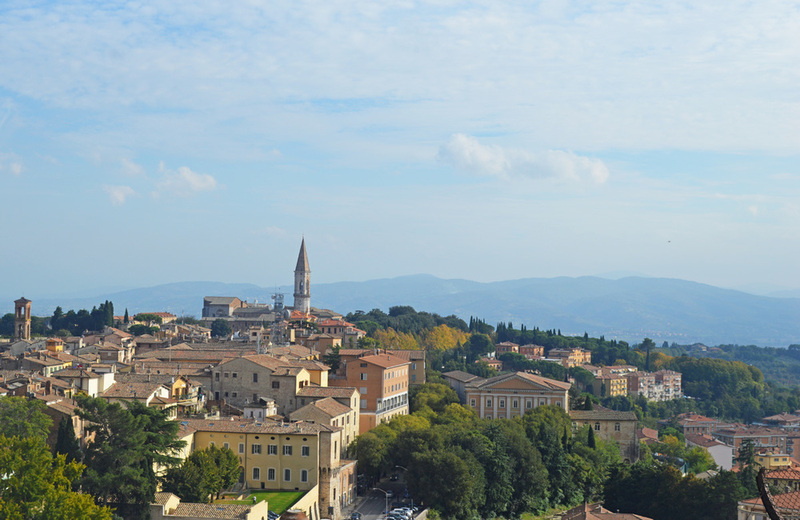 This town in Umbria, a neighboring region to Florence's Tuscany, provides a fresh perspective to experiencing Italy. For those with a sweet tooth, go to Perugia during October for the annual chocolate festival. Take the fast train from Florence down to the Lazio region for grand, spectacular Rome. No trip to Italy is complete without seeing this historical city firsthand. While you can spend a day in Rome hitting the hotspots, you may want to extend your time into a few days or long weekend. There is so much to see and do!